I have loved roses ever since I received my first bokay, which makes sharing my roses with others very important to me whether in a vase, a story or a picture. If you were here I would be sure you had a vase of flowers before you left, but for now … I’ll share pictures of some of the roses in my garden. . .
You’ve got some wonderful roses and quite a number on the way I see! Wow! With roses it has always been “the more the merrier”! Ha! You have a nice variety of roses! 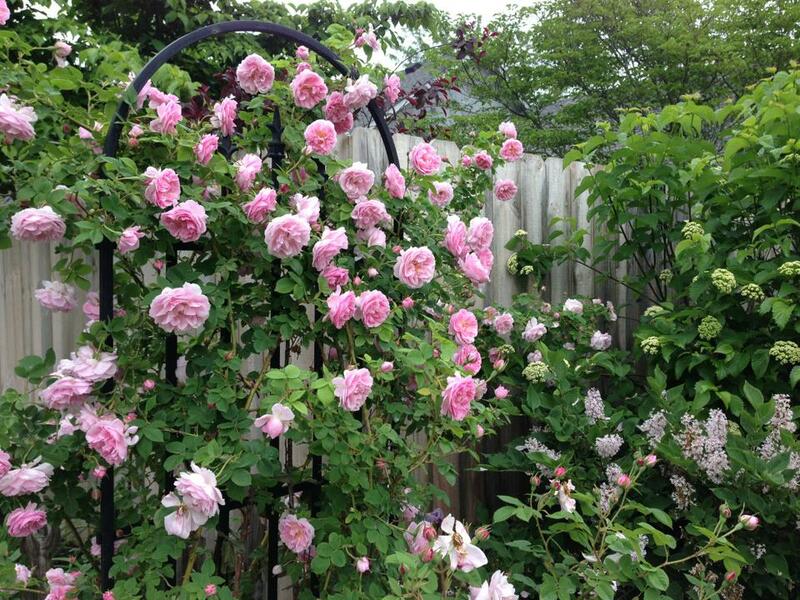 *sigh* I could stare at these photos of your garden all day. So lovely! Love that New Dawn over the potting shed. That was one of the roses I had to leave behind in MD. But I’ll be training two Wollerton Old Hall roses as climbers on either side of Night Owl. Can’t wait! Wollerton Old Hall is so beautiful and will look smashing with Night Owl. Good choices! I’m so pleased to have found your blog! The housemate and I have a small city garden (also a zone 5) and we’ve fallen in love with roses. This year we’ve started planting David Austins. Your photos are an inspiration. Thank you. 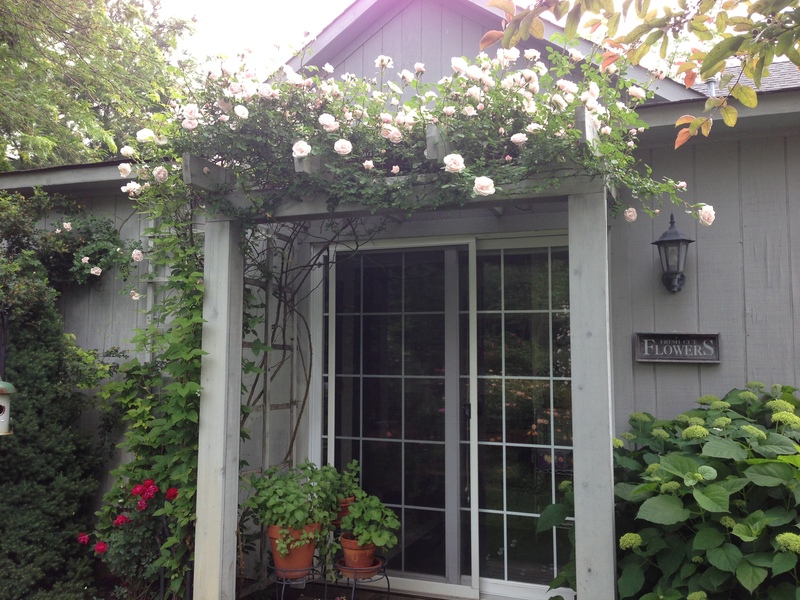 You will love David Austin Roses. Let me know if you have questions! 🌹🌹 enjoy! do you have any pictures of your golden gates roses? do you have to bury them or anything for protection in winter? I plan on getting either a harison yellow or golden gate not sure yet. Harrison’s Yellow blooms one time a year -/ in early spring. Golden Gate blooms throughout the summer. I don’t have any great pictures of Golden Gate… It’s new to me this year and hasn’t reached its potential. 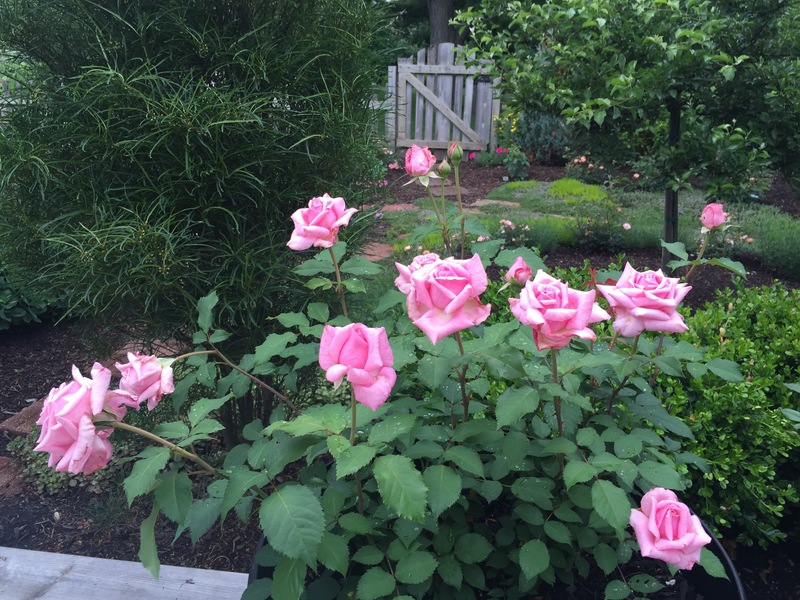 The blooms we’ve had are pretty and the shrub is healthy. I’ll keep you posted. myhubby wants me to order it anyway, so now I am thinking I am taking a chance but hey that is how gardening goes or may I say grows, lol, you take risks to gain great benefits, I am zone5a/6 right on the border, barly touch zone 6 my new blaze when I first got it would get quite abit of die back but that past 3 years it has had very little which means it hasnt gotten as cold as when Ifirst got it, new blaze is a small climber, the blooms have been beautiful, it gets black spot like crazy tho every year. my john davis is clean and so is my new dawn tho yesterday Icut off some leaves with mild black spot and threw them away. I plan on putting golden gate in the front of my house where it and the garage shelters it from the north winds, it has a southeast angle so would get plenty of sun all year. hopfully it will work out, I had bought oranges and lemons and it did not do well, to much die back, transplanted it and it died, my pinata climbing rose didn’t do well either, my golden showers was obviouly was not a golden showers as it got alot of die back and eventually lost the graft and all I get is a plant no blooms, I read the zone for golden showers is 3 (tho I wonder if they are being dishonest about the zone for it to sell more plants) I would say it is probably on the same note as harrison yellow or golden gate in hardiness,yellow is a hard color to get hardiness and color at the same time, hopfully my yellow rugosa will break the ice for me and show me it can be done. 1 Especially the Your garden is magnificent! Heaven! Especially the last photo with those contrasting pinks (varieties?). I am so excited to find your blog. And delighted that you are nominated for a prize at the Garden Bloggers Conference. I cannot be there but I will surely be thinking of you all. I also have a collection of roses, but your weather is much more gentle than mine. Still there are roses for everyone, which is a very good thing. So happy to find you! 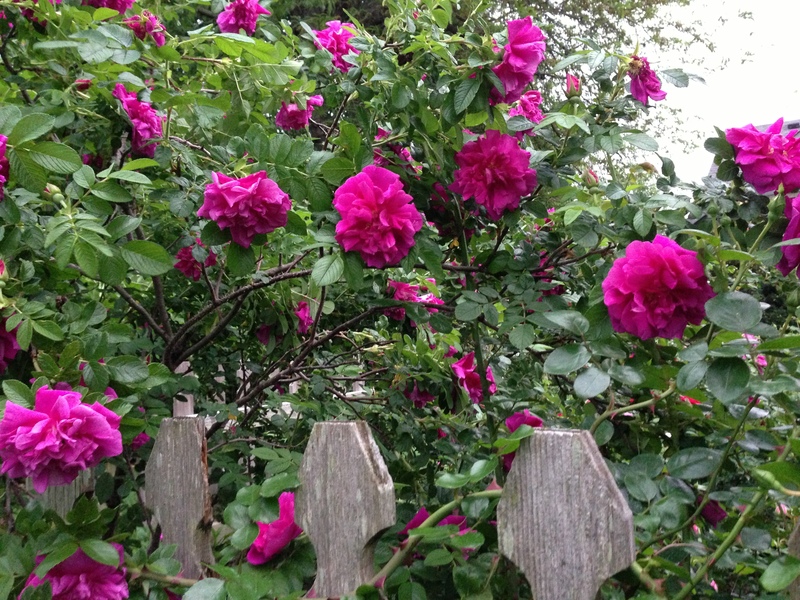 We do have good weather for roses. But, some times the winters can be brutal. Thanks for stopping by! How much land is on your house lot? If I could encourage anyone it is this: Don’t wait to plant your yard. I always assumed I would move to the country and now my hubby doesn’t want to move. 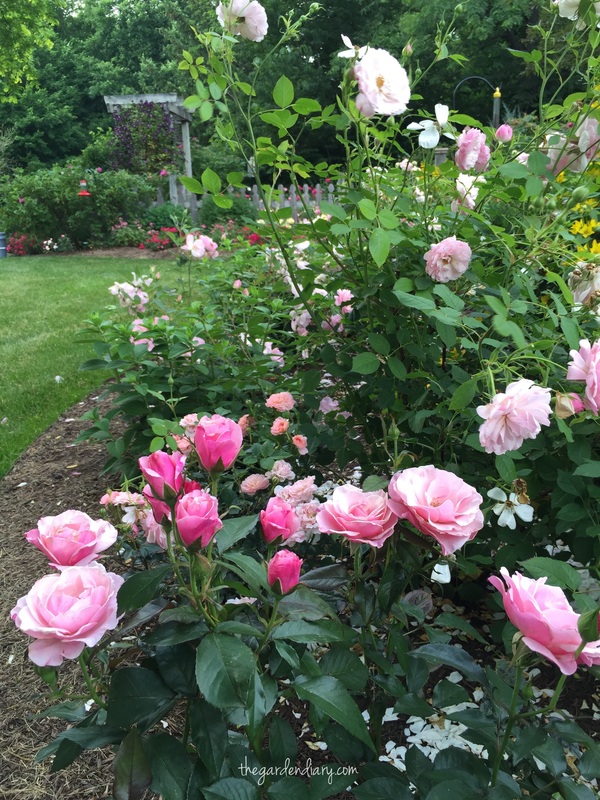 So 29 years later, I have a half acre to plant lots of roses! Hello, Our lot is about an acre. And we have been mowing less grass every year (27 years) we have been here! LOL. I just keep planting! So thankful that we have a bigger lot. It has brought us so much pleasure to be able to have a large garden. Good luck with your roses!